The melt down of three nuclear reactors at Fukushima in the wake of the earthquake and tsunami of 11th March 2011 seems to have quietly slipped out of our collective awareness - as quietly as the cauldrons of radioactive elements that were once within the active cores of the reactors invisibly bleed into the groundwaters and seawaters of the region. This event has become yet another minor detail in the distorted mosaic of ruin that mirrors the latter days of a civilisation in free-fall. Arnie Gundersen is looking a little weathered these days. He has just returned from a five-week long speaking tour of Japan. He spent much of that time in the company of many whose lives have been indelibly seared by the Fukushima catastrophe. What he reports is unlikely to appear in the mainstream media, but such has ever been the case when it comes to the hidden machinations of big government and big business. What Gundersen has to say is worth closely attending to. As a nuclear engineer, he has been deeply involved in the American nuclear industry for over four decades. He has a special interest in the design and safety of containment structures and holds a patent for a nuclear safety device. He has also managed and coordinated nuclear projects at 70 nuclear power plants in the US and is a former nuclear industry senior vice-president. He knows the industry well, particularly its toxic underbelly. Arnie Gundersen served as an expert witness in the investigation of the 1979 Three Mile Island accident, and found that releases of radioactivity from that particular event were 15 times higher than the figures published subsequently in a government report. He is no stranger to the prevarication and deceit that have too often accompanied statements made by the nuclear industry and its government supporters. Gundersen has been an active critic of the nuclear industry for over two decades. More recently, he has co-authored a Greenpeace International report on Fukushima. He was among the first North American commentators to speak publicly and forcefully on the implications of Fukushima in the days and weeks after the meltdowns. And since that time, he has been tireless in his efforts to provide an informed narrative of developments at Fukushima and their consequences for both the inhabitants of Japan and on the global community. Arnie Gunderson reports that the Japanese Government continues to put the interests of Japanese banks and power companies ahead of the safety of its people. Within a short time of the Fukushima meltdowns in 2011, the Democratic Party of Japan (DPJ) who were in power at that time arbitrarily raised the "acceptable" limits of radiation exposure twenty-fold: from 1 millisievert (mSv)/year - the maximum dose recommended by the International Commission on Radiological Protection - to 20 mSv/year. In 1998, over a decade beforehand, Rosalie Bertell presented the findings of a number of independent studies published in peer-reviewed journals, including the British Medical Journal and the Journal of the American Medical Association that showed unequivocally that radiation doses as low as 2.5 mSv/year were associated with significant increases in the incidence of leukaemias and myelomas, and cancers of the pancreas, lungs and female reproductive organs in nuclear industry workers. As Japanese medical practitioners begin to encounter the effects of radiation exposure in their patients - particularly children - the government now refuses to pay doctors who record a diagnosis of radiation-induced sickness in their patients. This will come as no surprise to those who followed the actions of the Soviet government and later, the Russian, Ukraine and Belarus governments in their concerted suppression of medical reports dealing with the consequences of radiation exposure on the lives of their citizens after the Chernobyl meltdown. 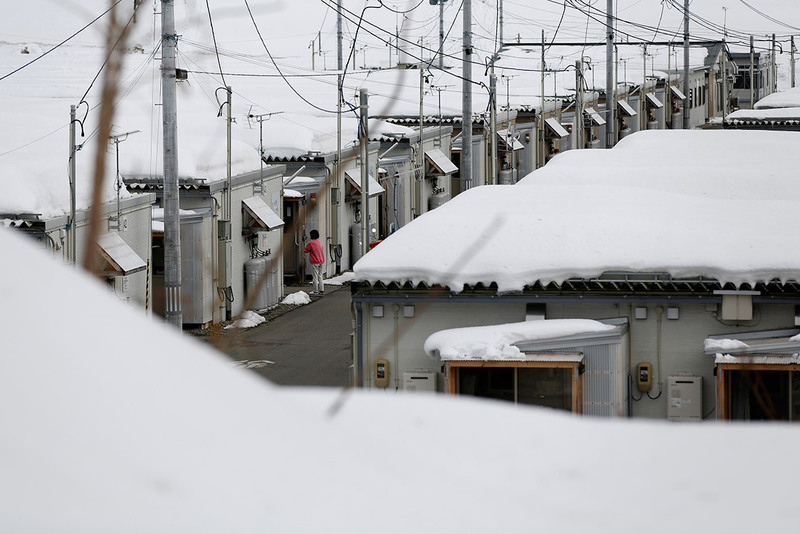 Over 100,000 people are still not able to return to their homes in Fukushima prefecture since the meltdowns. 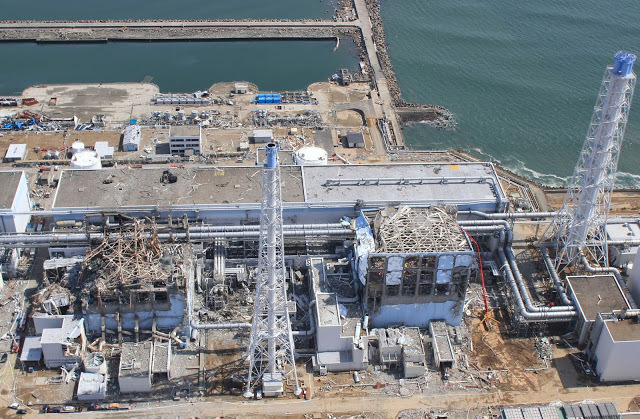 In a disturbing disclosure, Gundersen reveals that many of the evacuees have received virtually no information regarding the issue of radiation exposure either from the Japanese government or from TEPCO, the operators of the Fukushima power plant. The subsistence stipend that they have received since being evacuated will cease in March 2017. Considerable pressure is being put on former residents by the government that they now return to Fukushima and tough it out regardless of the ongoing contamination. Many have grave concerns regarding the effects of such a move on the future health of their families. Another remarkable aspect of the present situation concerns the manner in which highly contaminated materials - which include radioactive soil, leaves and other debris - have been dealt with. 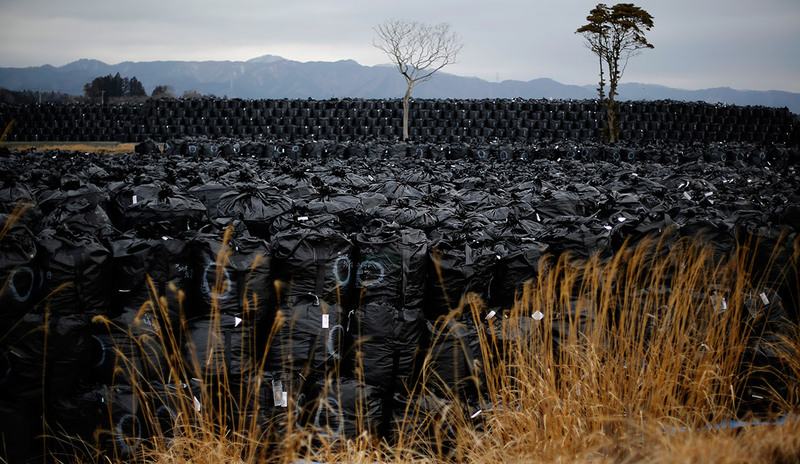 Thirty million tons of such debris has so far been gathered from throughout the Fukushima prefecture. Much of this is now stored in over 9 million large plastic bags scattered throughout the affected areas. Three years after being filled, the bags have started to disintegrate and nobody seems to know what to do next since their contents need to be kept isolated for at least another 30 years. One favoured option is to incinerate them. This would certainly decrease their number, but would inevitably result in the further dispersion of radioactive elements in aerosol form around Japan. There are clearly some who still hold to the old but ultimately banal adage that, the solution to pollution is dilution. Dwarfing the problem of solid wastes is the ongoing leaching of radioactive elements from the melted reactor cores into groundwater and seawater. For the past five years, between 200 and 500 tons of groundwater flow through the reactors every day as a result of multiple cracks in the containment structures. Some of this water has recently been diverted away from the reactors, but an estimated 150 tons of groundwater continue to flow through the reactors daily. This irradiated water inexorably flows on, steadily bleeding into the northern Pacific. 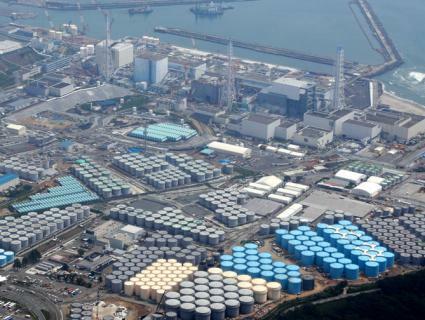 Furthermore, 700,000 tons of highly radioactive water salvaged from cooling operations since the meltdown is presently stored in massive tanks that now pepper the reactor site. More are being built as contaminated water continues to accumulate. It is common knowledge that engineers will be busy for the next 30 to 40 years in their efforts to put the lid on the cauldron of radioactivity that seethes in the reactor basements at Fukushima. Meanwhile, the Pacific tectonic plate continues its own inexorable movement beneath the continental Okhotsk plate on which Japan sits creating the conditions for future mega-thrust events like that which shook the region on 11th March 2011. The unspoken terror is that it could all turn again in the blink of an eye. Despite what has happened at Fukushima, the Abe Government is determined to restart Japan's nuclear reactors that were all shut down after the 2011 earthquake. Widespread anti-nuclear protests throughout Japan have been ignored and three nuclear power plants in Kagoshima and Fukui prefectures have been restarted since August 2015. Over the next year, a further six to twelve reactors are slated to resume operations. Business reigns as usual. There are many who proudly insist on riding the nuclear beast regardless of the human and environmental consequences. They insist that this is the way of the future and a "necessary" solution to the problems of rising atmospheric carbon dioxide levels and an ever-accelerating movement towards numerous tipping points which include ocean acidification, loss of polar albedo effects due to melting of polar ice, and the bubbling up of vast new wells of methane gas from the melting of northern permafrost and sea-floor deposits. In the immortal words of Edwin Arlington Robinson, what folly is here that has not yet a name? The video clip below presents an interview between Arnie Gundersen and Margaret Harrington recorded soon after he returned from a recent speaking tour of Japan. The first 25 minutes of the interview offers deep insight into how the worst industrial accident in the history of humanity has affected the people of Japan, and how the Japanese government now increasingly serves the interests of power companies and their financial backers rather than those of its own people. Arnie Gundersen is unambiguously clear regarding the nature of what has gone down in Fukushima in this presentation. And the moral abandonment of both the Japanese government and TEPCO in the downplaying of the present and future consequences of the meltdown are not lost on him. The second half of this clip offers a detailed review by Gundersen of the developments at Fukushima over the past five years. 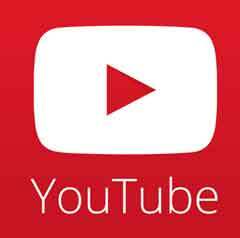 A separate high-definition version of the second segment can be accessed here. Vincent Di Stefano is a retired educator and practitioner of natural medicine and author of “Holism and Complementary Medicine. History and Principles” (Allen and Unwin, 2006). He remains committed to exploring the nature of healing at personal, social, spiritual and environmental levels and maintaining a watching brief on the turbulent currents that course through the present times. He periodically posts on the blog-site “Integral Reflections” through which he can be contacted.